From our perspective, missions to other worlds just seem to happen. One day Pluto is a cluster of four pixels; the next day it's a teeming world that looks a lot like Mars. We don't see the decades of research, planning, and engineering that to go into every mission, to say nothing of the travel times, in numbers of years that can reach double digits. NASA periodically puts out calls for low-cost mission proposals, some of which move from PowerPoint to the launch pad. Here are five missions that NASA is presently evaluating. At least one of them will eventually visit other worlds. Asteroid 16-Psyche contains about 1 percent of the mass of the asteroid belt, and is basically Cybertron, home planet of the Transformers. There is no water, no minerals conducive to water—it's just a big chunk of iron in space. Scientists suspect that it is the exposed core of a proto-planet whose crust and mantle were blasted away by a series of collisions. Because we're not likely to dig a hole to our own core any time soon, the value in studying such an object is self-evident. 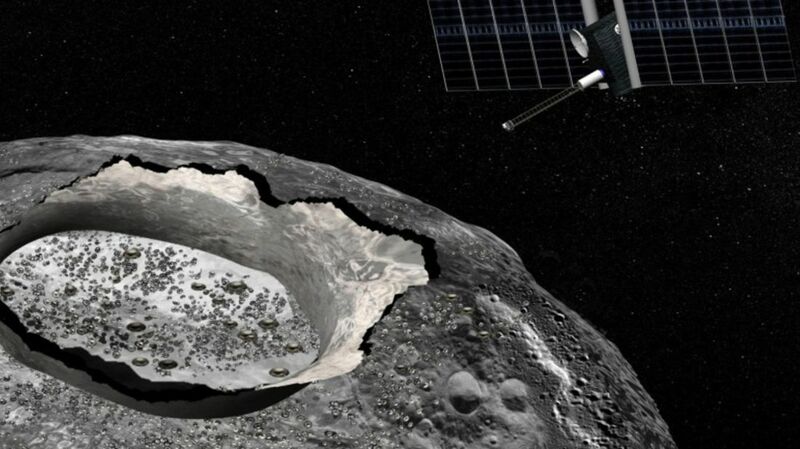 If a proposed mission to the asteroid is chosen by NASA, it will be the first time that humans have explored a world that wasn't made of rock or ice. Venus and Earth are a lot alike. We're about the same size and made roughly of the same stuff. But Venus is a horrible hell sphere and Earth is slightly less bad and teeming with life. What happened? The presence of two Venus missions on NASA's shortlist for consideration speaks to the importance of answering that question. DAVINCI—the Deep Atmosphere Venus Investigations for Noble Gases, Chemistry, and Imaging entry probe—will spend its one-hour descent to Venus analyzing the atmosphere to determine its origin and evolutionary history. It will collect data relating to Venus's long gone ocean, and take the first high-resolution images of tesserae, which are that planet's mysterious highland areas. The good news is that NASA has an Office of Planetary Defense. The bad news is that it has nothing to do with space aliens. As the dinosaurs could attest, the solar system is an unforgiving place, and all it could take to turn anthropology into paleontology is a giant rock. NEOCam—short for Near Earth Object Camera—is a four-year mission designed to study asteroids that pose an existential threat to humanity. It is a space-based infrared telescope that will take a hard look at known dangers, and be on the lookout for new ones. Jupiter shares its orbit with more than 6000 identified asteroids known as Trojans. We're not quite sure where they came from. Maybe they formed around the same time as Jupiter and were simply caught in its gravity. Maybe they were captured early in the solar system's formation, the result of a destabilized Kuiper Belt. Nobody knows! And while the distinction may seem trivial, it's hugely important to understand the history of the solar system. The Lucy mission—named for the 3.2-million-year-old hominid skeleton—will do for the solar system what Lucy the Australopithecus afarensis did for humans, filling in the gaps from the primordial record. The Lucy spacecraft will fly out to Jupiter's Trojan asteroids and scan, image, and map five of them. It's the last-known population of objects in the solar system that is wholly unexplored.